The carrycot is suitable from birth, comes complete with padded liner and mattress. The one hand, multi-position recline seat unit can be parent facing at a perfect height to interact with baby or forward facing for when baby gets a little older to explore the big wide world. 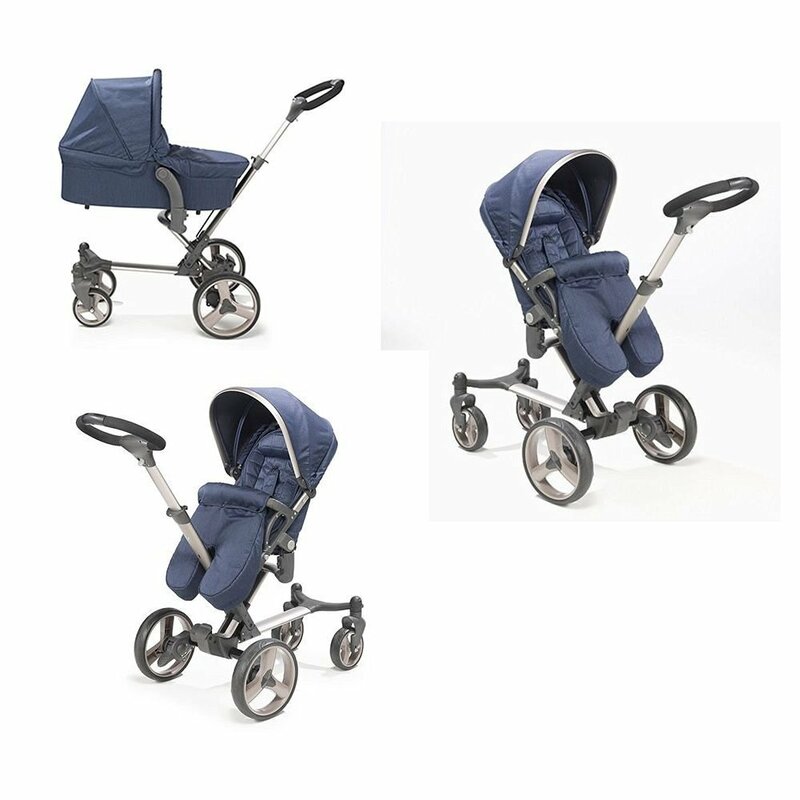 The chassis features a large shopping basket is free-standing when folded, all round suspension, quick release, non puncture tyres and the leatherette handle is adjustable to make it perfect for all family members to push. Tested to carry up to 25kgs. Suitable from birth using the carrycot. Fixed or swivel front wheels for effortless manoeuvrability.